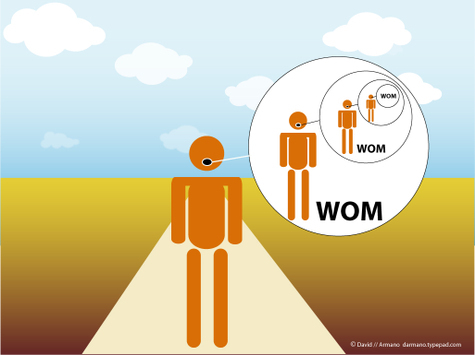 Logic+Emotion: What's On Your WOM List? What's On Your WOM List? "this makes finding stuff so easy"
'how did they do that"? "makes watching video online fun"
"I'll never pay for classifieds again"
"not sure exactly, but can't stop using it"
"so convenient to stay in touch"
"i'll never go back to a regular phone"
Of course word of mouth can also be bad. AOL, Comcast, Microsoft (Vista), and others have experienced the wrath of customers who put considerable energy into saying things about the products or services that weren't flattering. To me the current state of marketing revolves this idea of "viral"—producing something that spreads organically from person to person. Not unlike some of the examples I've provided in the list. But we call videos "viral" before they ever have a chance to be. Is that putting the cart in front of the horse or is has the word viral become so overused that it's actually meaningless? Maybe it's as simple as asking ourselves, would you recommend this to a friend? And if that's the case, we'll have our work cut out for us because there are so few things in this world that actually are. So what's on your WOM list? And why?